Plymouth University has picked up two prestigious accolades at an annual showcase of creative graduate talent. The D&AD New Blood Festival brings together students and industry professionals for an exhibition and series of fringe events at The Old Truman Brewery in the heart of East London. It is attended by universities right across the UK, but this year students from Plymouth were among three to be selected for the prestigious Best Stand award, while recent graduate Hannah Packard won a coveted Best in Show award for her work. Plymouth’s presence at D&AD this year included two stands created by students and lecturers from the BA (Hons) Illustration and BA (Hons) Graphic Communication with Typography courses. 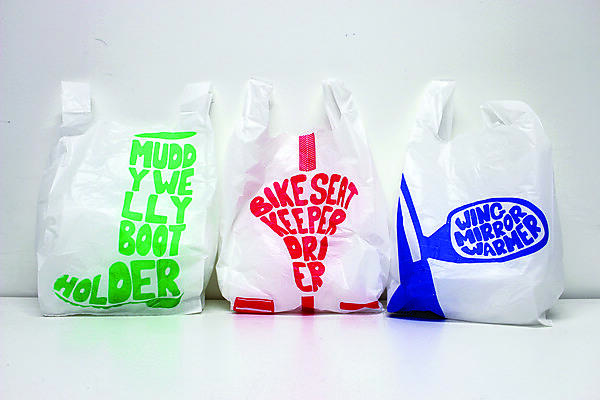 The winning stand design – created by the Illustration students – was based upon a record shop, with students picking a number one song to illustrate, with these being printed as 12" size and 7" versions. The format of record racks was divided into categories, enabling clients to quickly find relevant student work. We believe in the persuasive power of typography to give clarity to ideas and help messages communicate. Here, we develop innovative ideas and concepts in response to design briefs, and solve design problems using words and typography. Go to the graphic communications subject area page to learn more. The most engaging and memorable illustrations come from people with a distinct approach. Our students know that by standing out they will get the attention of commissioning agents and publishers and find work doing what they love.